Here’s my list of the Top 10 gadgets from CES 2016. The cost for most of the items is between $50 and $1,000, but one gadget is free and another cannot be priced because it’s a prototype demonstration of a concept. Self-Installing Car Seat. 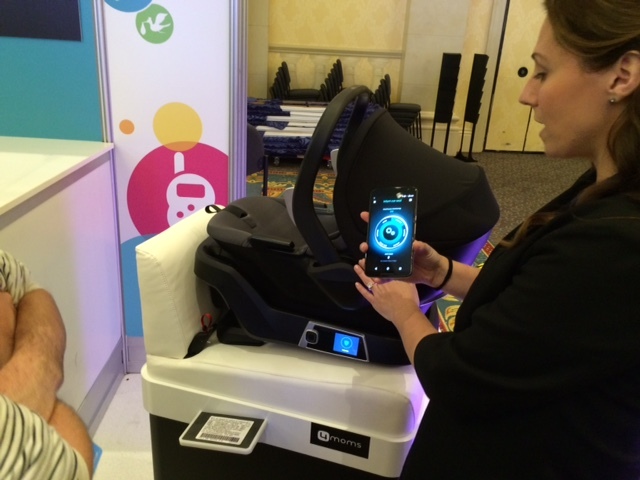 Too good to be true (and it probably isn’t totally true), yet this car seat should be checked out by every mom and dad with young children. With location information from the accompanying cell phone app, you can locate the latch anchors in the car. Next, clip the seat base to the latches and an electric motor levels the base and applies the correct tension. After placing the child carrier into the base, the app will confirm installation is correct (or not). The base will monitor the base as you drive and send an alert to your phone if the installation becomes insecure. Proper buckling of the infant into carrier is your responsibility. Installation videos are available. Price: $500. Pico Craft Beer Brewing Appliance. Home beer brewing usually happens in the basement because it can be messy and take up considerable space. This beer brewing appliance is only 12 inches wide and will fit on most kitchen counters. A first-time brewer can operate the appliance using prepackaged hops and grain ingredients available from established breweries. Cleanup is easy and, weighing 30 pounds, the appliance can be carried to the basement (if you have to). Price: $1,000. Lily Camera. This is amazing flying camera is ideal for the active outdoor person. It looks like a drone, but is not one because it it has a single purpose – follow and photograph the user. The user literally throws the camera up in the air, and it begins flying and taping the user (who is wearing a tracking device) as she skis, swims, runs, etc. The developer, Lily Robotics Inc., had a suite at CES 2016 primarily for investors and buyers. You really should see the video of how the Lily Camera flies and photographs. Price: $1000. Wireless Charging Pads. Wireless charging is not new but has been slow to reach cell phone owners because of an industry contest over wireless charging standards. Wireless charging eliminates the wires and the plugging in. The Wireless Power Consortium adopted the “Qi” standard for compatibility. For Android operating systems, Samsung’s Galaxy S6 works easily with the Samsung Qi wireless charging pad. Price: $50. For Apple operating systems, the iPhone owner needs to buy a wireless case to fit over the phone to make it Qi compatible. Pre-order the case from iOttie. Price: $50 plus the charging pad. SpeedForm Gemini 2 Record Equipment Running Shoes. Baltimore-based UnderArmour had a prominent presence at CES 2016 and exhibited many products. Among the most interesting is the Gemini 2 running shoes (pictured at top) with sensors embedded in the shoes that enable fitness tracking on your smartphone. There are no distractions from a watch or phone while running. And, importantly, the shoes feel comfortable and sturdy. Preorder the shoes from UnderArmour. Price: $129. Mcor ARKe 3-D Printer. This is a serious 3-D printer that fits on a desktop yet produces a professional quality model in color. There are no particle or toxic emissions, and it comes with free operating software. This 3-D printer is ideal for engineers, teachers and students in educational institutions, archaeologists, creative artists and others. Price: $6,000. Fitbit Blaze. Fitbit is a leader in wearables for health and fitness tracking. Many smart watches are on the market now, but most are watches trying to be a smartphone or track more fitness and health data than competitors. The Fitbit Blaze is designed to balance the best of health and fitness tracking and only those smartphone features that sensibly accessible on your wrist. Texts and calendar can be displayed, and phone and music can be controlled. It’s thin, works with the Fitstar app, and looks good in a gym or a restaurant. Price: $200. 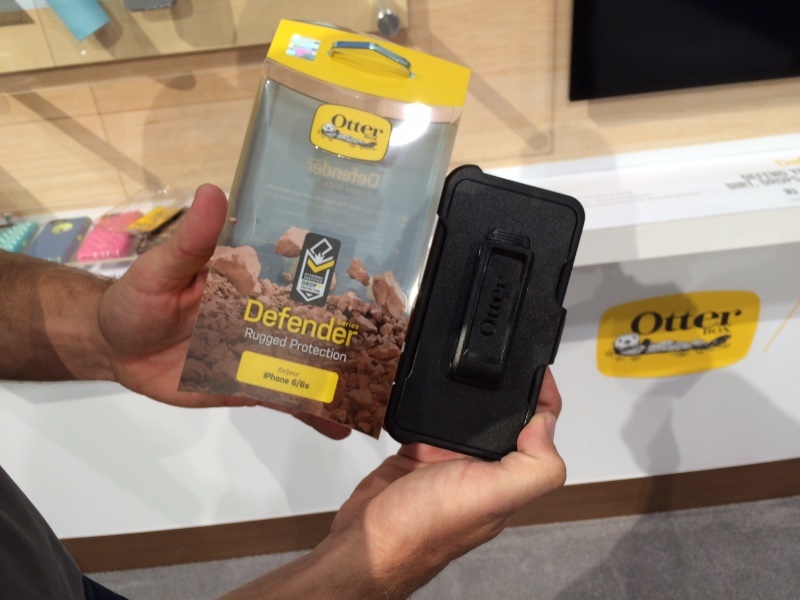 OtterBox Defender Cell Phone Case. Ever dropped your mobile phone on tile or concrete and cracked the glass or dented the corners? After the second time, try an OtterBox case. All OtterBox cases are good protection, but the toughest and most rugged are in the Defender series for Apple, Samsung, BlackBerry, HTC, LG, and Motorola phones. You can buy a clip to attach the case to your belt. One disadvantage is the case has to be removed to charge the phone, but this may be a tolerable inconvenience after one-too-many damaging drops. BUDD-e Concept Car. You can’t buy this — yet. VW introduced and displayed its BUDD-e concept car (a van actually) at CES 2016. It’s electric with a 101-kWh battery that can go for 233 miles on one charge at a top speed of 93 mph. The car and the dashboard controls respond to touch, voice and gesture. It can connect to your phone to the Internet of Things at your home and workplace. The BUDD-e is a welcome breath of fresh air for Volkswagen employees, shareholders, and customers dealing with the legal difficulties from the diesel emission scandal. Check out the BUDD-e concept. Priceless. ChargePoint Mobile App. This is not a tangible product, but it is still something nifty that can lead you into the future. Electric vehicles are a certainty in the future, as are electric charging stations. ChargePoint is the leading developer of a commercial network of stations open to the public (25,000 and increasing), and there are several other companies in the market. This app helps find ChargePoint stations, tells you when the station is available for charging, and starts the actual charging session. Free! This first appeared as a guest article on January 13, 2016, on Danny Jacob’s blog in The Daily Record.